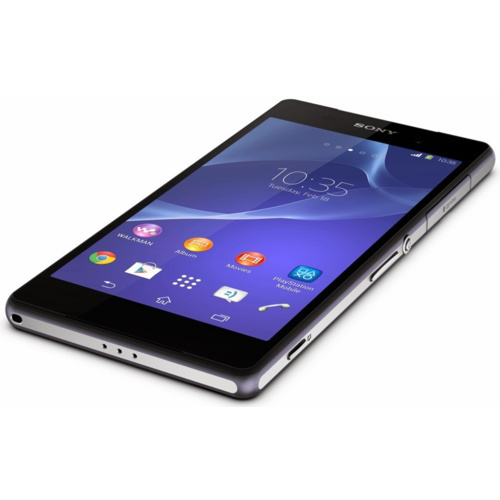 The Sony Xperia Z2a Ultra is is fully water-resistant and dust proof smartphone. The Sony Xperia Z2a allows you to take photos and videos underwater. With a sleek glass body, an impressive 20.7MP camera and 2160p video, the new Sony Xperia Z2a is ready to reshape your smartphone experience. The phone size is 137 x 72 x 11, it has a weight of only 163g and a beautiful square design 5.0 inch touchscreen display with shatter proof glass. The Sony Xperia Z2a uses a 2.3Ghz processor and uses the Android KitKat.On top of this amazing performing phone is 3GB of RAM and 16GB of storage expanable to 128GB via a microSD.